Don’t Be Afraid—We Won’t Byte! Evolving technology has helped make the field of dentistry better than it’s ever been—and the successful merger of these two sciences shows no signs of slowing down when it comes to improvements. Dr. Fields is proud to be a lifelong learner who is committed to continuing education and upgrades to our practice’s technology. His intention is to provide the Cabot community treatments and services on a par with anywhere else in the world. Technology Isn’t Just Machines—It’s Materials! From the clear aligners of Invisalign® to the composite materials used for fillings and crown restorations, technology plays a part in every dental process, procedure, and improvement imaginable. Comfort, durability, and appearance for the most positive and stress-free patient experience possible are always the goal of technological improvements in dentistry. Soft-tissue diode lasers have extensive uses in general dentistry and are particularly effective in the treatment of periodontal (gum) disease. They are gentler and less invasive than a scalpel or other electrosurgery device; procedures can be performed more quickly and are more comfortable, with less trauma (such as post-operative swelling) and faster patient recovery overall. 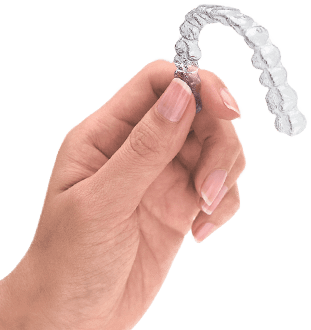 Air abrasion removes tooth decay without the need for a dental drill. It is most commonly used to prepare teeth for fillings, sealants, and cosmetic dentistry procedures. Air abrasion can also remove stains and spots and repair broken crowns, bridges, and existing fillings and sealants that have become worn. The advantages of intraoral cameras include ease of use and how quickly the images can be viewed by the patient and dental team. It only takes a few seconds to reveal an image from an intraoral camera on a screen, which help keep things moving in a busy practice like Patrick Fields, DDS. It only takes a few seconds to reveal an image from an intraoral camera on a screen, which helps identify anything abnormal, and whether or not any areas of your mouth could use more attention during your hygiene routines. For those who are concerned about radiation, here’s a fact right out of the gate: digital x-rays use up to 90% less radiation than film x-rays. Conventional dental x-rays are still quite safe, but digital radiography also adds speed and efficiency to diagnosis. Digital x-rays are fast, do not require processing, and are more forgiving for under- and overexposure. While CariFree® products aren’t machines, it took technology and science to create their formula. CariFree products have been scientifically formulated to neutralize the pH in your mouth, alleviating the negative effects of acids that lead to tooth decay. CariFree products are nonabrasive, safe for everyday use, and have been scientifically proven to reduce cavities. Patrick Fields, DDS recommends CariFree toothpaste, mouth rinse, and a spray for relief from dry mouth. Ask us for details! If you’d like to know more about our technology or any of our other services at Patrick Fields, DDS, call or schedule an appointment online today!